Pitman Training Centre Sligo helps people every year to get the skills they need for the careers they want. Our flexible training delivery allows you to progress and upskill, even if you choose to continue working full or part-time. 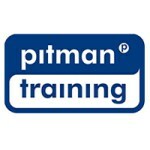 And every Pitman Training course is designed to provide the knowledge and experience that employers are looking for. Experienced course advisors are always on hand to help. Our exceptional levels of support and guidance mean whenever you need advice or encouragement, we’ll be right there by your side. We don’t have rigid course timetables with fixed terms, like many others, which means training can fit around your work and home lives. Whether you want to improve your career prospects with one of our highly respected diplomas, gain that promotion, get back to work or simply stand out from the crowd, Pitman Training can help you like nobody else can. The Management Diploma is one of a range of Pitman Training diplomas specially designed for newly promoted managers, team leaders, those looking for promotion or individuals wanting to broaden their opportunities. IT Technicians hold one of the most important jobs for any company. It is their role to keep computers and related systems running smoothly and efficiently. As an IT Support Technician, you could be responsible for responding to help-desk queries, fielding telephone support calls or giving in-person assistance to individuals experiencing problems with their computers.